Day 5 and 6 were so fantastic that we thought the boys should share their favorite things to end camp! Here are their favorite memories from Saturday and Sunday and what they are looking forward to during the year. Aloha from wonderful Timber Bay! A nearly perfect Friday of camp is burning it’s last few moments of daylight while the sounds of the boys echoes off the lake. A renewed energy was in the air this morning with the introduction of sunshine. You could sense that the boys were ready to get outside and have some fun. Breakfast consisted of French Toast and Sausage with an extra helping of syrup. Normally we’d try and curtail their sugar intake, but not today. Today was for running. Pile it on boys! Arts and Crafts is always a popular location for many of our boys. This year has been no exception, particularly with the rainy weather, so Corinne has had her hands full. One of the projects occupying her digits has been helping our young Mr. Connor V. stitch together a pair of pajama pants. He presented them to me this morning so I felt obliged to model them around the dining room. He did a really nice job. Very thoughtful and creative of that young man. After breakfast, the boys went to their first morning music session. I was caught a little off-guard as I was walking into the lodge about halfway in and I could hear Christmas Music being sung from the open windows. It might be 75 and sunny out here, but the next time we get to see these boys in concert will be Christmas season. Ugh. Brace yourselves: Winter is coming. After a little cabin tiddy-up time it was out to the activity areas. Two separate boat trips went out for interested boys. One boat was launched by Captain Jason and pulled tubers around the lake. The other was launched by Captain Vance and went to the sweet fishing hole on the other side of the lake. (This reminds me: we need to add bait to the 2018 packing list…). Many more boys were spotted at the Arts and Crafts cabin making their Tie-Dyed shirts. It was a good morning session. Another round of music and it was time for grilled cheese and chicken noodle soup. The boys consumed a mountain of grilled cheese sandwiches and then took about a 45 minute nap. Following rest period was an afternoon music session and then it was time for the Octathalon. The Octathalon is a camp tradition from the early days that pits the cabins against each other in an Olympic style competition. The events are Team Music, Team Arts and Crafts, Swimming Relay, Running Relay, Team Canoe Race, Kayak Relay, BB Guns, and Team Canoe Swamp. The boys had a great time showing their prowess in their favorite areas. You can see the Team Canoe Swamp Finals on the Facebook Parents Page. Friday afternoon is also Cookout Day where the Senior Staff takes over some of the cookie duties and we grill out in an informal BBQ style meal. Aaron used this opportunity as grill master to also remove a good percentage of hair from his right arm. (He’s fine…) The boys ate to their hearts content and then it was back into the lake for most of them. The Friday evening activity time is always a favorite. The boys know the drill by this point in the week and if the weather is right the laid-back atmosphere leads to a fun evening. Stewart and Camden led the boys in a game of Capture the Flag before sneaking them all to bed a little earlier tonight, in preparation for the big Saturday night activities to come. The boys have been doing very well this week. We’ve had our scraped knees, bug bites, bee stings and a few tears from normal boy activities over the course of the week but the staff and boys have been all over making sure it gets taken care of. We’ve got a great staff this year and it has been an honor to work with every single one of them to make camp a success this year. 28 hours left until we start the countdown for next year’s camp! Aloha from scenic Timber Bay! Camp is going wonderfully! I need to tell you how amazing your boys are. So many smiles. So many new friendships being made in the last 24 hours. This is a lot of fun. At this moment, I am sitting on the front porch of the Staff cabin overlooking a fantastic sunset over the lake with the happy laughter of boys echoing through the trees. We have it rough. Yesterday started out like almost any other year of Camp…. except for Aaron having issues getting the bus running, Camden having a flat tire with the Trailer on the way up, and then subsequently getting pulled over for having a taillight issue. Coincidentally, it was a former Choirboy that pulled him over…and Camden promises to get it fixed. For the most part though, the issues had almost no impact on the boys and most had no idea there were any issues at all, which is just the way we wanted it. Of course, despite this being my 24th camp, this is the first time I sent a Camper of my own up for the week and naturally I was the parent that forgot and sent my kiddo without supper. SMH. (We got it fixed…). Once we made it to camp we skedaddled the boys to their cabins and got them situated. Most of the older boys were already deep into week planning and picking their cabin names. With about 7-8 boys per cabin, there is plenty of opportunities for boys that want the top bunk and boys that want the lower bunks. I think everyone got what they wanted. The first night is usually pretty chill. Corinne shared some photos on the Facebook page about our Welcome/Safety briefing. We use this time to get the boys familiar with the expectations and get the excited for the week to come. It can get a little dry as we essentially tell them all the things they cannot do (in the name of safety…) but we make it work. The boys had a good time and we’re going to have a great week. This also marked the first time we brought the flame in from the lake to start the camp. Our new Super Director Vance had the honor of bringing in the flame to start our week and kick things off. (Side note: He’s a pretty good dude and he’s going to be a fantastic fit with this organization. On top of it, he doesn’t snore which is great for those of us that share a cabin with him.) Make sure you get the chance to meet him if you haven’t already. Following a quick snack and introduction to the kitchen staff the boys headed to their cabins to get some showers in and get to bed. I was impressed as I did my rounds at how well-mannered the boys were. This is a great group of youngins’. Land of Lakes Choir Boys. The camp will be held August 8th, 2017 through August 13th, 2017. The camp will be held at “Timber Bay Camp” in Onamia, MN. 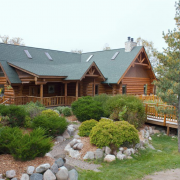 The camp consists of four hundred acres, camper cabins, main dining and recreation lodge, all of which is located on beautiful Little Whitefish Lake. The camp will consist of boating, fishing, swimming, sports, crafts, games, companionship, and of course… singing! The brotherhood that is established during camp is one that sets up the atmosphere for the season. Not only do the young singers get a head start on their new music, but they also develop relationships among their fellow choir members. These relationships build trust, teamwork, and friendship – all vital qualities in a great ensemble.